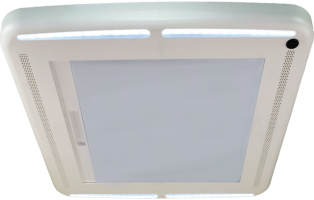 The MaxxFan® Deluxe is the only complete motorhome/caravan ventilation system that incorporates a vent, fan and rain protection in a single all-in-one-unit. The only motorhome/caravan ventilator fan with a built-in rain cover! 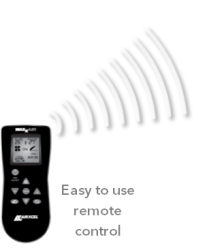 In addition to the rain cover the Maxxfan has full remote control feature as well as a thermostat. In other words, it has every feature you could want on a roof fan! A complete all in one system that fits standard European 40cm x 40cm motorhome/caravan roof openings and US 35 x 35cm RV roof openings. Opens and closes like most standard roof vents using a manual knob located at the ceiling or opens automatically with the remote control. Thermostat feature with Auto mode (set the temperature and the fan will automatically lift the lid and start at that temperature). Each Maxxfan install is different. The model in the video is a US model but the process is the same. This video is not endorsed by LVS or Airxcel/Maxxair. 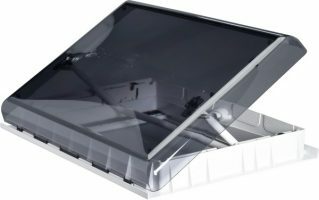 The new SkyMaxx rooflight range from Maxxair. Fit the popular 400 x 400mm and 500 x 700mm roof openings.